Introduced the world’s first 15” zero-bezel Capacitive Touch display POS Solution – the VariPOS series, with aluminum die-cast chassis and customized color covers to match any environment. The introduction of a full range of the VariPOS Series – entry level, medium and high performance products meeting a varying global market demand any environment. All in one, one for all. We introduced all-in-one series products and combined applications captivating a stagnant market. any environment. VariBon, a Vari- series project designed specifically for the retail industry, entered the market. Introduced the world’s first “Touch-Thru-Glass” product – VariVitro, a cutting edge digital signage display capable of functioning behind glass windows. 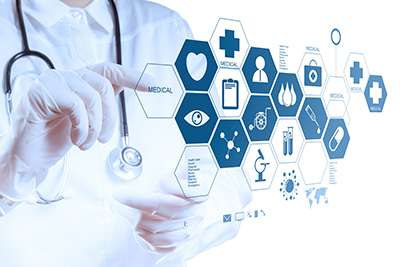 We extended the Vari- series product to include VariCura, the accomplishment of a project in the medical industry. ToriPOS comes to the market as a high level POS terminal with a die-cast chassis and zero-bezel Capacitive Touch display featuring RAID capability to fulfill different market segments. The aesthetic ToriPRO Series is released, a fanless POS terminal featuring a bezel-free touch screen broke through the design barriers, and has become the inspiration for many imitations. ToriPOS honored by the d & i Awards 2013. The introduction of a concept-to-production project for the retail industry; Posinno supports Power USB to meet chain retail demand. 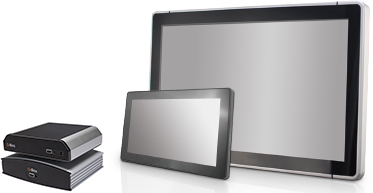 The innovative combination of VariPad tablets for mobility or as a second display for POS Systems. 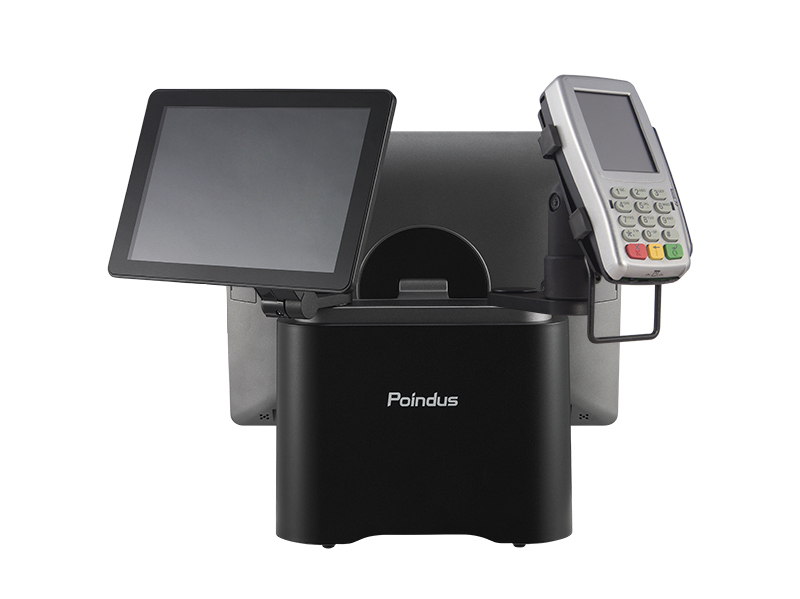 Poindus Systems Corp. complemented the POS product line, merging with OTEKSys – the expert in touch monitor, professional small display, and Box PC. Posinno series enters the market. Adopted the Intel Bay Trail-T CR Z3735F CPU (supporting both Android / Window OS) in our POS system, including VariPAD-W、VariPOS210, and VariPOS300/310. VariPAD-W：Handheld device for light industrial usage. VariPOS210：Light weight, transportable with external power bank support. VariPOS300/310：Advanced functionality, satisfying cus tomer needs with a built-in receipt printer. VariPOS 210 won the Red Dot Design Award 2016. Introduced the extremely versatile VariBox project; Poindus Box PC IO. Poindus introduces the VariPOS 2 Series to the Retail & Hospitality markets. Adopted the Intel® Skylake Core™ Celeron, i3 / i5 CPUs for the VariPOS 240 | 250 | 250i and introduced new design innovations ensuring the VariPOS 2 Series can be implemented in any scenario. 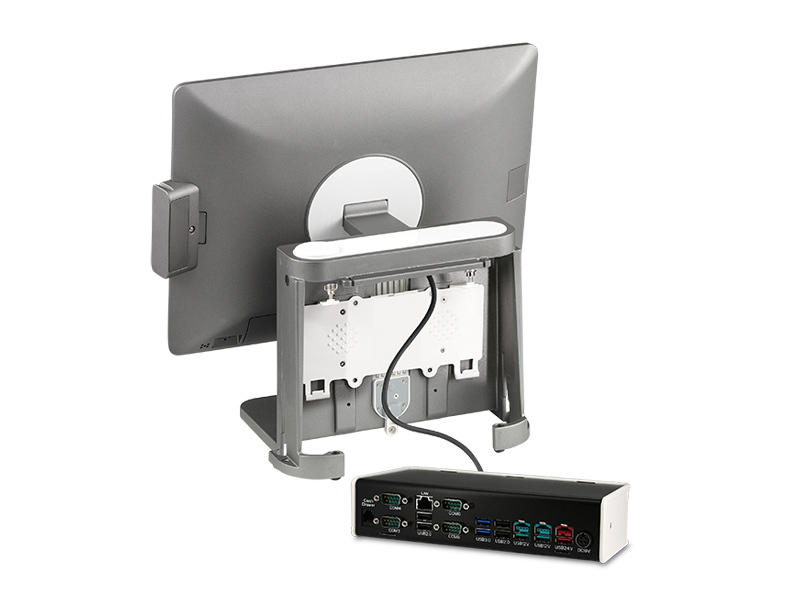 A new small 10.1″ display (M185) introduced supporting display port and VGA interface.